The lasting performance of stucco has made it a popular choice for home and building exteriors, not just in Ontario but across North America. If you are looking for a finish that is low maintenance, looks great and performs well, then stucco is the most obvious choice. 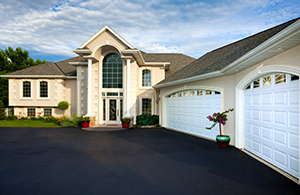 Outperforms other materials: When compared to wood and vinyl, stucco is a definite winner. In fact, in many cases, it has been found to even outperform brick exteriors. Virtually maintenance free: It doesn’t have to be painted or re-installed, so that lowers your maintenance efforts and cost. Lower home insurance bills: In addition to being durable, stucco is also fire and earthquake resistant. This can be a big money saver when it comes to your home insurance. Check with your insurance company about discounts for stucco exteriors. Healthier indoor air: Stucco is resistant to rot and fungus, and performs well against pest and rodents; all of which contribute to improved indoor air quality. A healthy indoor environment means fewer doctor’s visits and absences from work, business or school. Increased property value: A variety of colours and finishes allow you to give your home a distinctive look. This increases curb appeal and property value. Stucco requires little maintenance but there are a few simple things you can do to keep it looking clean and beautiful for years to come. Use a low pressure spray (garden hose) to remove dirt and debris. Select an acrylic-based paint if you feel a touch-up is required. For small chips or dents caused by an object, you can patch it up with the same material. If your stucco has big cracks or large holes, it is preferable to consult a professional stucco installer. 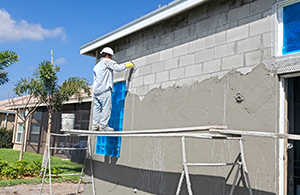 Professional installation is key to optimizing the look and durability of exterior stucco. Platinum Stucco offers an extensive selection or colours and finishes for homes and commercial buildings. Our manufacturer-trained installers ensure the job is done perfectly. Premium products and service guarantee problem-free performance of your stucco exteriors and your complete satisfaction. To learn more the durability and benefits of this exterior wall system, call Platinum Stucco (416) 731-8600 or request an estimate online.